It’s time for the next contest! This one is another Facebook contest, and it is open to everyone. The premise is simple: Share the Facebook page with your friends! Many of my friends have already done this, and I am extremely grateful. Now, I can express my thanks by offering a prize! Between now and Thanksgiving Weekend (context will go through Sunday of that Holiday Weekend), share the Galaxis Book page on your Facebook newsfeed. Share the page as often as you like! If somebody likes the page based on your share, you will earn two points! Every newsfeed share is worth one point. Every page like that results from the share on your newsfeed is worth two points. Once the contest expires, the points for each will be totaled up. The prize will go to the individual with the highest score. 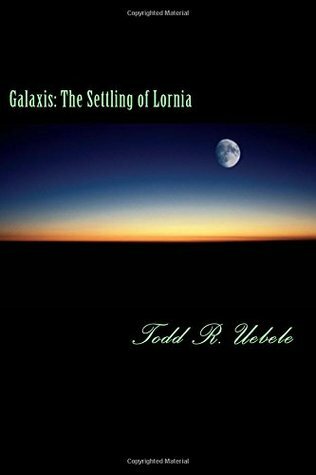 The winner has the choice of receiving an electronic copy or a printed copy of the ORIGINAL Manuscript of “Galaxis: The Settling of Lorning.” The original manuscript is roughly 1/3 to 1/2 the size of the released book. Contest #3 officially ended at midnight last night. There were 40 likes on the Facebook page, so one winner was selected to receive a prize. Congratulations, Jordan! !